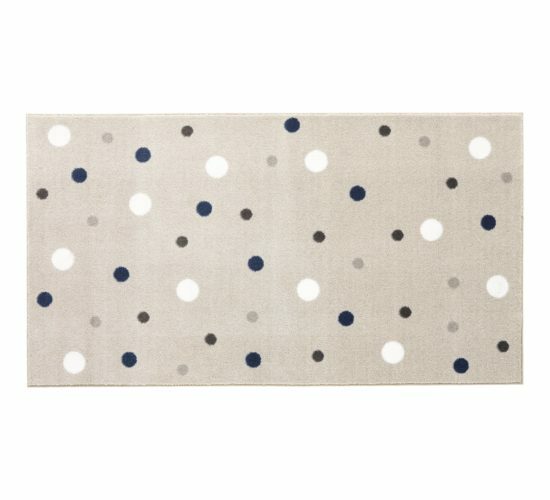 This charming polka dot rug will add a pretty finishing touch to any kid’s play room, bedroom or family space. 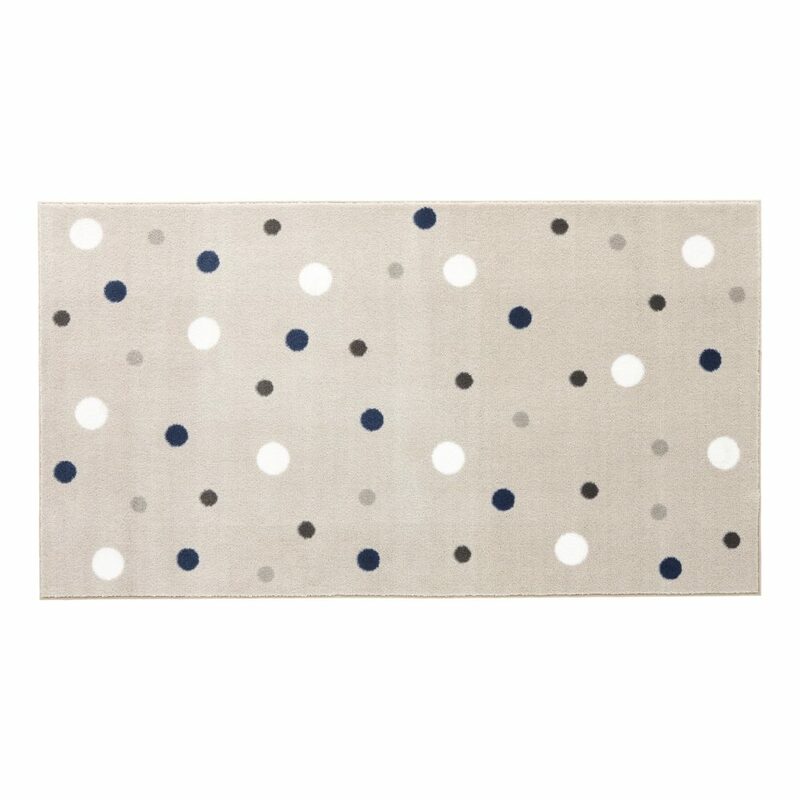 The pale grey background really makes the navy, white and shades of grey dot design pop. Made from super thick, super soft 100% polyester with a hard-wearing latex backing. Machine washable at 30 degrees. Do not tumble dry. Measures: 100cm x 180cm. Lifetime Kidsrooms is exclusive to NEST in South Africa, so you won’t find this product anywhere else! Founded in 1972, Lifetime Kidsrooms has been looking at the world through children's eyes for more than 40 years. Lifetime Kidsrooms is a Danish manufacturing company specialising in high quality children’s furniture. Proud traditions of craftsmanship are combined with Danish quality to ensure safe and secure settings for children's fun and games. Specially selected sustainable pine, which grows slowly in difficult climatic conditions is used in production. This creates a strong wood, which is well suited for making high quality furniture. The wood is finished with environmentally friendly varnishes and stains that are water-based. Lifetime Kidsrooms received the Green Environmental Award in 2004, for their responsible and environmentally friendly products. Their beds also meet the highest safety requirements, often exceeding the legal standard. All beds are extensively tested by TÜV, a strict testing authority. This means that Lifetime Kidsrooms are able to provide a guarantee of no less than 5 years on the construction of their beds. Quality remains the focus in the long term, even after the furniture has left their factory in Denmark. The Lifetime Kidsrooms wonderful accessory range is created in collaboration with numerous designers who combine functionality with the latest trends, to enable you to bring your children's dreams to life.